Ok, Tamartians, Braxton Family Values and Tamar & Vince viewers you know how long Tamar Braxton has wanted to release a single/album. Now it's here and she DID that!!! Or "slayed" as some people would say. The singer is married to music mogul/manager - Vince Herbert (who discovered the likes of Lady Gaga, Mindless Behavior to name a few) she is also the youngest sister to multi-award winning artist Toni Braxton (hence the legendary surname). 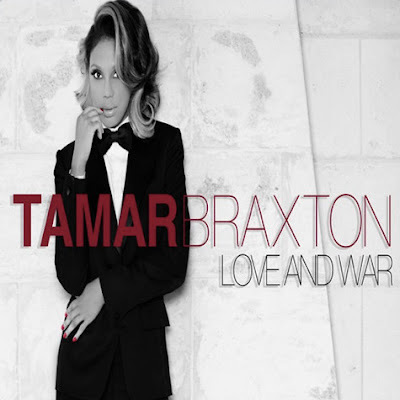 Listen to Tamar Braxton's long awaited debut single Love and War which will be premiered on Tamar & Vince season finale tonight! The single has killed both the US and UK iTunes chart - storming in at #1 on the R&B charts. Tamar DID THAT! BUT! This song somewhat does sound like Keyshia Cole's "Trust and Believe" - almost has the same concept behind it.